Big news! Here at Pearl Scan, we have a new addition to the scanning room. May we present the Kodak i5800! This new scanner is a big investment for Pearl Scan to give our clients improved quality scans. The new scanner brings with it a range of features to ensure our customers continue to get the service their documents deserve. The scanner is height adjustable meaning any one of our experienced and professional team can operate it. The new technology is said to “significantly reduce document preparation and handling times”. This will be an excellent benefit for clients wanting a quick turnaround for their documents. This latest scanner can achieve greater data integrity giving a better chance of being able to OCR process all of your documents successfully. We will now be able to scan up to 210 ppm (pages per minute) which will also add to our ability to have your documents digitised in no time. 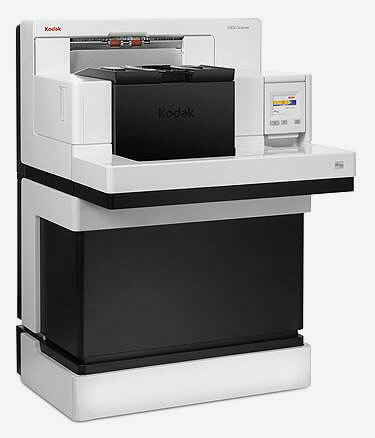 This Kodak scanner was also awarded Buyer’s Lab “Scanner of the Year” in 2012 and “Winter 2012 Scanner Picks Award” so this isn’t just your average document scanner. With this new technology, we can provide you with top quality scans in no time at all. While we think this will put us head and shoulders above the rest, why not try out our document scanning services and see for yourself. Here at Pearl Scan, we are a document scanning company who specialise in digitising documents ranging in size from small till receipts right up to large format plans and drawings. For a free, no obligation quote for your scanning project, complete our online form by following the relevant links below. We also have some more exciting scanner news coming up soon so watch this space!